This week’s podcast episode is a fun one, especially if you’re a real Italophile, like myself. I spoke with food stylist, cook book author, hostess and spirit guide to all things la dolce vita in Italy, Annette Joseph. 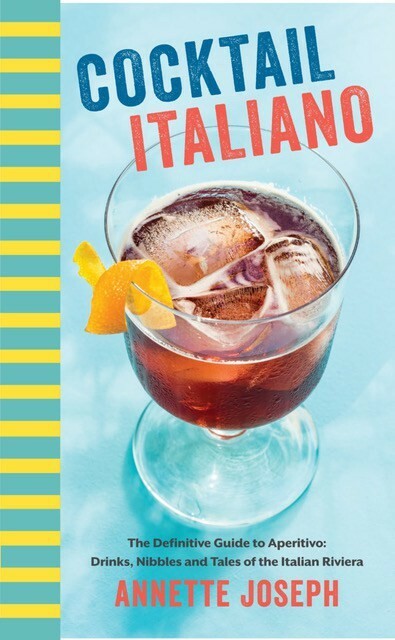 She recently wrote Cocktail Italiano – a guide to Apertivo hour on the Italian Riviera. We spoke about Aperol Spritzes, the beach culture in Italy and the art of the Italian Apertivo. This episode will undoubtedly make you want to sip a beachside spritz no matter what the hour! For this week’s recipe we had to include THE drink of Apertivo Hour – the Aperol Spritz. This recipe, however, is a slight twist on the classic with the addition of a lemon sugar rim and bitter lemon soda or lemonade – as the recipe below demonstrates. 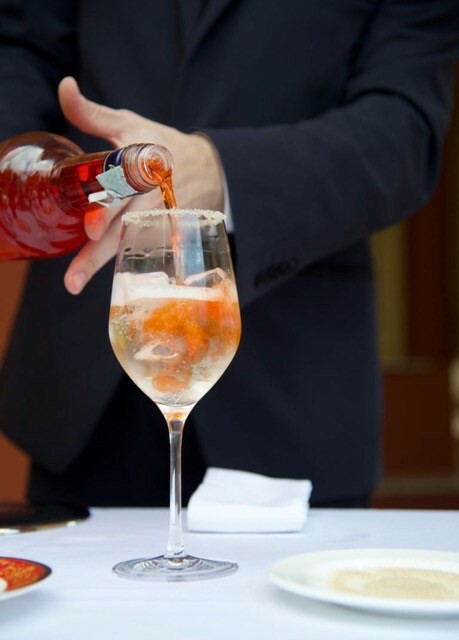 This spritz, featured in the book, Cocktail Italiano, is the signature cocktail of the beautifully restored 19th century villa overlooking the Gulf of Alassio, Villa Della Pergola. This drink actually makes an appearance in the Cocktail Italiano book trailer. Check it out! Fill a shallow saucer with lemon sugar. Rub the rim of a white wine glass with water and dip into the lemon sugar to coat. Add 1⁄2 cup ice and the lemonade to the glass, and then add the Aperol, Top off the glass with the Prosecco, garnish with an orange wedge, and serve with a straw. This is how to make fresh lemonade, but you can also substitute storebought lemonade or lemon soda. Stir together all ingredients in a pitcher and refrigerate until needed. If you have leftover lemonade, just cover and refrigerate up to 2 days. The post BBaF Podcast Episode 18: Cocktail Italiano with Annette Joseph appeared first on Bit By a Fox.